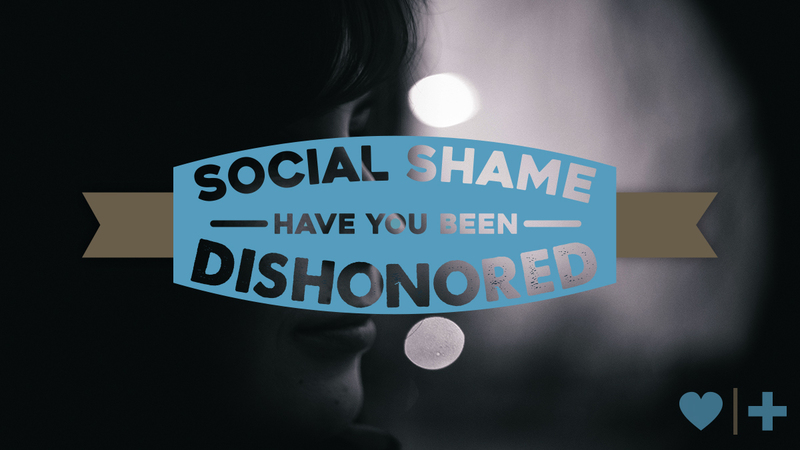 Social Shame: Have You Been Dishonored? > Part 2: Have you Been Dishonored? Over the past couple of weeks I have begun to uncover a previously unexplored dimension of the affair recovery process. More and more, I am beginning to understand how the social dynamic of honor and shame significantly impacts our responses to betrayal and our healing process. A question I have found to be not only defining for couples in crisis but instrumental to their recovery is: how do you go about regaining a sense of honor if you have dishonored yourself or have been dishonored in your marriage? The first is the emotion of shame. The second is the social dynamic of shame. The feeling of being shameful is something we're all painfully aware of due to our culture's focus on individualism. When I fail to fit in or meet expectations, if I don't accomplish my goals, or if I betray another person, I experience the emotional aspect of shame which leads me to believe I'm flawed and that there is something wrong with me. Emotional shame is about my personal identity and leads me to believe that I am bad rather than I have done something bad. It's obvious how a personal sense of shame can be generated by infidelity. But overcoming this type of shame is absolutely essential for healing. In the paradigm of individualism a person's worth is measured by performance and moral behavior. It is about guilt, innocence, and being true to myself regardless of pressure to conform to family or social groups. Through the lens of individualism, if we appear to do well in life we view ourselves as successful and have a sense of pride. If we perform poorly and if others (or that voice in my head) gives me messages that I'm a failure then I may feel there's something wrong with me and experience shame. The social dynamic of honor and shame is based on our sense of belonging and status in our family or community. Relational shame can be ascribed by the actions of someone you are associated with or achieved as a result of your own failure to support the collective good. Many of us in western culture have trouble identifying the second type of shame due to our focus on individualism. The interpersonal dynamics of honor and shame receive little press in our society, except when there is a case of honor violence, because western culture focuses on the individual rather than the group concept of honor and shame. The honor-shame dynamic has a relational orientation. Honor is about a person's social value or worth. Honor comes when those around you think well of you. Shame, on the other hand, comes from low public opinion. Public shame leaves you feeling disconnected from those that were once important to you. These dynamics function much like our credit score system, but our social rating system measures the value of one's reputation. Because honor and respect are given in the context of group identity, those associated with that individual or people unit (such as a sports team or company) are ascribed the same honor. The same holds true for shame. "The people who have the means to do something about this don't have the passion, and the people who have the passion don't have the means. I've got both." Since that time my sweet wife has accomplished more as a volunteer than a full time staff member could have ever done. In the process she's received a significant amount of recognition and honor for her efforts. Her story is a great example of what is called achieved honor. The community has a great opinion of my wife. I happen to have the good fortune of being married to her. Just the fact that I'm her husband gives me ascribed honor. When I'm with her people say, "Aren't you Stephanie's husband?" and I'm given the same honor she's received in her efforts to help others. Dishonor can work much the same way. In the same way I was ascribed the honor Stephanie received for her efforts at the jail, decades ago she was ascribed the dishonor and shame I brought on us as a result of my infidelity. In the honor-shame dynamic, how does one restore honor if they've been dishonored? In some cultures if a son or daughter dishonors the family by their actions the only way to restore honor is to punish, kill or disown the offender. In our culture, if someone dishonors you by being unfaithful the cultural norm for restoring honor is to extricate yourself from the relationship. Sometimes a betrayed spouse may forgive their mate, but continue to shame their mate in an effort to restore their own personal honor. Another example comes with a husband or wife who fails to "leave and cleave" in a marriage (meaning they fully leave their parents and cleave to their spouse). The spouse feels dishonored and not chosen. They experience a loss of status and may well feel the in-laws have something over them, leading to a loss of prestige and honor. When we realize the implications of this social context of honor and shame, where another person can ascribe his or her dishonor to you, it's easy to see why so many betrayed spouses feel stuck. If they are committed to repairing the marriage, how are they to shake this feeling of shame when it is not inherently theirs, but applied to them by the actions of their spouse and by the opinions of others? The same problem exists for the unfaithful spouse. How do you stand up and take ownership of your mistakes when you feel buried by shame because the public opinion is seemingly opposed to redemption? Western culture's focus on individualism has not only constricted our ability to see the scope of the problem with shame, but has also limited the pathways back to a solid sense of worth and the rebuilding of reputation. Left to our own limited understanding of how to transform our sense of shame to one of honor, we may punish, abuse, or disown the person who dishonored us. Choosing to forgive and reconcile certainly doesn't guarantee the restoration of reputation and in the short run, may result in a further drop on the social ranking scale, but the restoration of the marriage vastly outshines the costs. The honor-shame dynamic plays a significant role in surviving infidelity, but unfortunately this component has been missing in the recovery field as a whole. It's my goal over the next few weeks to begin to remedy that situation. In my opinion just surviving infidelity isn't enough. I believe we want to once again feel good about ourselves personally as well as relationally. Healing is attainable. I, as well as thousands of others, am living proof. I can promise you it won't come easy, but it can and will come if the right actions are taken to provide the opportunity for transformation. If you're serious about recovery, I'd like to invite you to join our free First Steps Bootcamp as a stabilizing protocol to implement over the next seven days. If you're the betrayed spouse and seeking to restore the honor you feel you have lost, I encourage you to register for Harboring Hope today at Noon CST. Brown, Brene. Daring Greatly: How the Courage to Be Vulnerable Transforms the Way We Live, Love, Parent, and Lead. New York: Peguin, 2012. Print. "Individualism." Wikipedia: The Free Encyclopedia. Wikimedia Foundation, Inc. 27 November 2014. Web. 3 January 2015. Neyrey, Jerome H. Honor and Shame in the Gospel of Matthew. Louisville: Westminster John Knox Press, 1998. Print. Martinex, Michael. "Uncle Calls Boston Marathon Bombers 'losers'." CNN. Turner Broadcasting System. 19 April, 2013. Web. 3 Jan 2015. I identify with this article as a betrayed spouse. Although my spouse and I are both working hard in recovery, some aspects seem to linger unadressed. I have had zero desire to see any of my spouses friends who knew about the affair and I feel a disconnect from my spouses family because they dont know about it. I've wished for my spouse to make attempts at restoring our honor by clearing my name to the friends and coming clean to the family as they saw me literally melt down before thier eyes (without knowing fully why). However my spouse did tell one family member and the response was truly awful and discouraged the chance of that happening again. I'm hoping that future articles may provide advice on what might be healthy examples of restoring honor that both the betrayed and unfaithful can perform. After reading this, I realize that is a part of why I wont re-engage with my spouses friends that I used to consider "our" friends. A year+ out and I'm still embarrassed by what they think about me based on the blame / justifications were told to them during that time. Is this something that would help the unfaithful as well as the betrayed?